You're Having a Baby! Congratulations! You've gotten the positive test and have told your friends and family the good news. Along with congratulations, you may also receive advice (some welcome and some not) about where to have your baby, how to labor, or how your baby should be born. Your best friend had a planned Cesarean. Your sister had an unmedicated birth at a birth center. Your co-worker had the epidural as soon as she made it to the hospital. You may know exactly what kind of birth you want or you may want to take it as it comes. No matter what kind of birth you desire, our labor doulas are there to support you, without judgment, from the moment you get a positive pregnancy test through the first contractions all the way to that newborn cry in the delivery room. At Doulas of Raleigh, our labor doulas work in teams, which means we are always there to meet your needs. We take great care to assign the best fit for you. 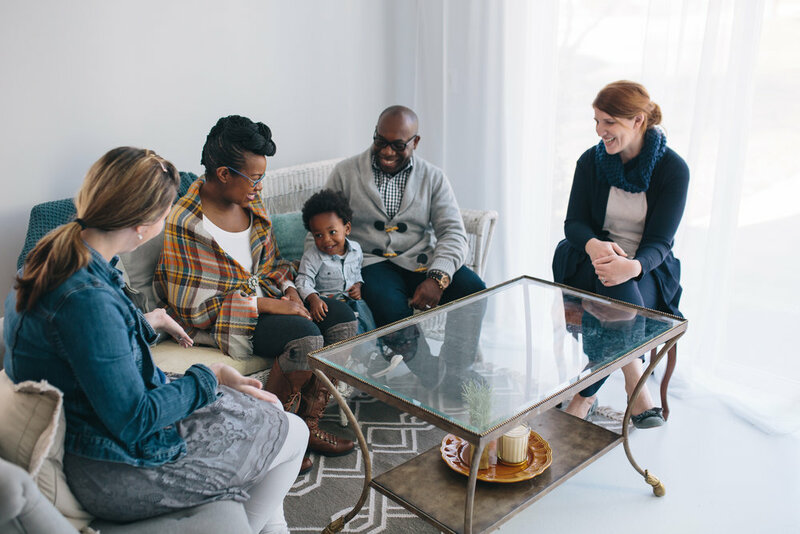 You'll be able to meet your team during a consultation and get to know your doulas during two prenatal visits. Our doulas share a call schedule so someone is always available. When you go into labor you can rest easy knowing that your doulas will be ready to fully support you. During your labor, you can call your doulas for emotional and informational support at any time. And once you are ready for continuous physical support, your doula will be there and will remain by your side for the rest of your labor and baby's birth. Our doulas will stay for an hour after baby is born to help you facilitate skin to skin bonding, make sure you and your partner have had something to eat and drink, and to help you feed your baby for the first time. After your baby is born, your doula team will check on you for the next several days. 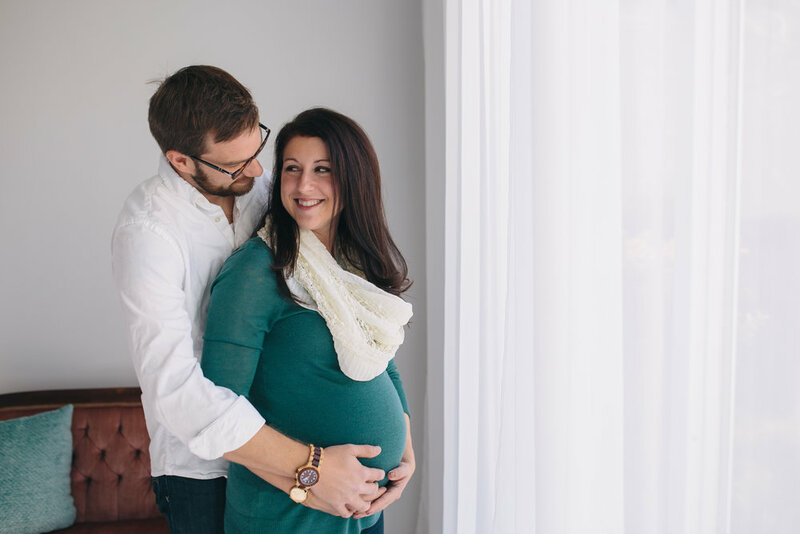 Informational Support: From common tests done during pregnancy to decisions in the delivery room, your doulas can provide you with unbiased, evidence-based information to help you make the best decision for you and your baby. Emotional Support: Pregnancy and birth can bring about a range of emotions. Your doulas are there to listen to you with an open mind and give you encouragement at every step. They are also a touchstone for your partner as you navigate labor and birth together. Physical Support: Your doulas have a goal to make you as comfortable as possible during labor. Doulas of Raleigh's doulas are trained professionals who utilize a wide range of comfort measures. We work with your partner to integrate him or her into being an active member of your support team and to also help provide these comfort measures. We are experienced in providing comfort measures for all types of labors: unmedicated labors, labors with epidurals in place, labors that are induced, and labors where other medications may be used. This is an exciting time in your life. We want you to be able to enjoy it with our professional, nonjudgmental support. Our labor support package can be combined with any of our other services. Contact us today to learn more about Doulas of Raleigh and find the package that is right for you.